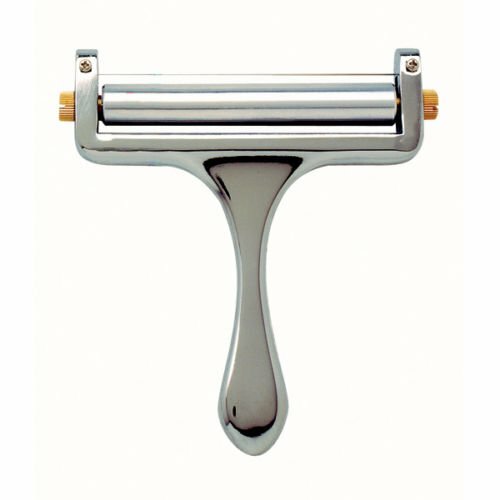 We’ve taken a look at both home use cheese slicers as well as commercial meat and cheese slicers. 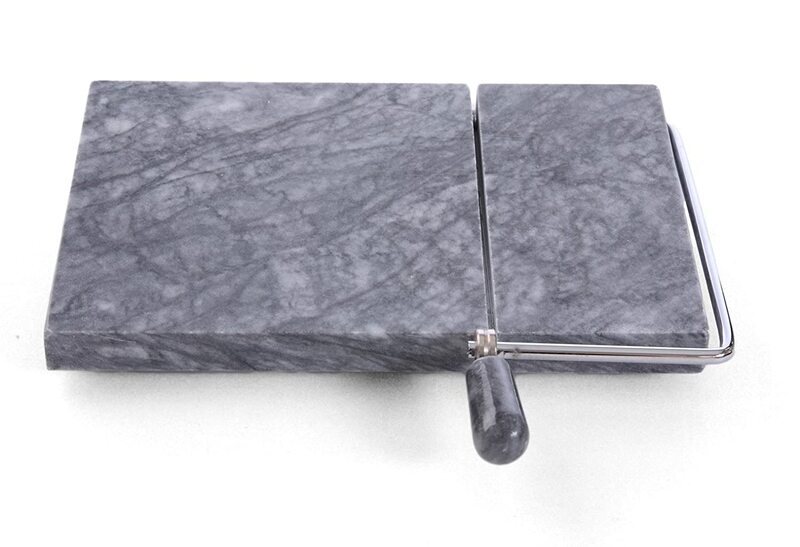 In addition to finding the best rated cheese slicers, we’ve also put together some platter ideas to inspire you! 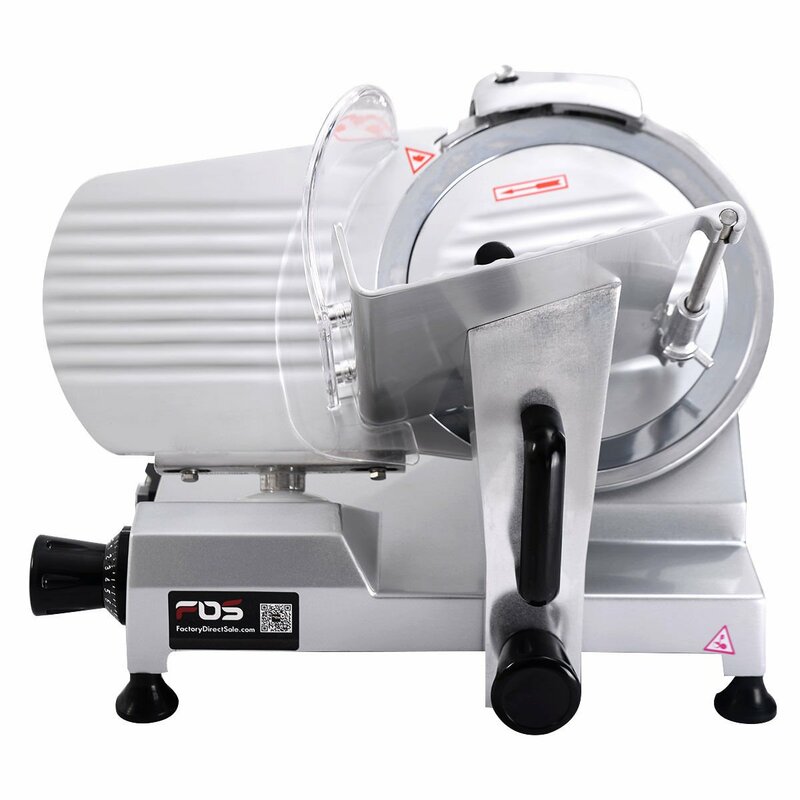 First we’ll take a look at the best heavy duty hand held cheese slicers and then well move on to the electric, commercial cheese slicers. 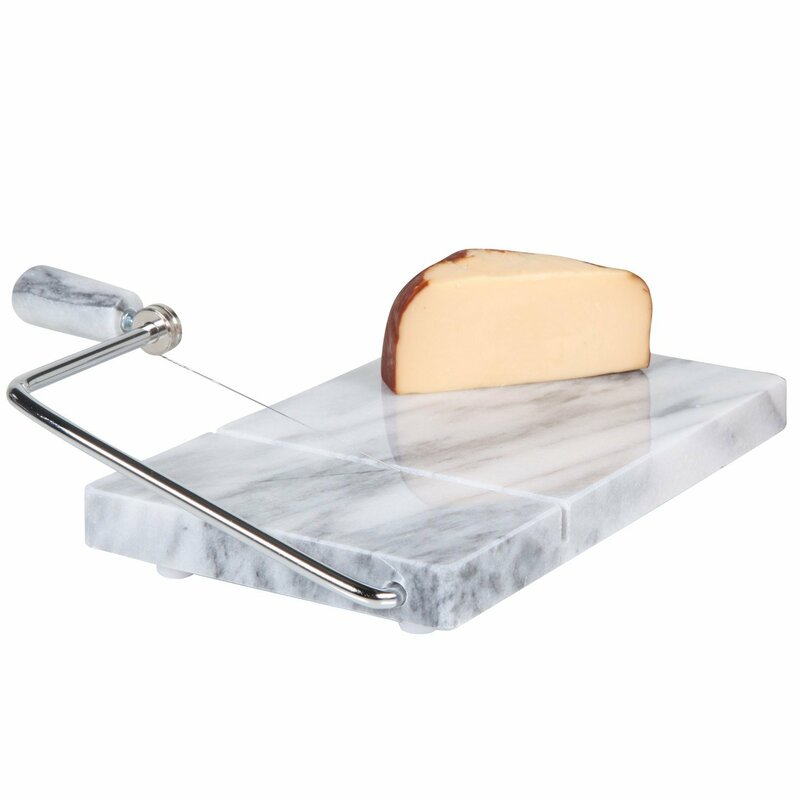 Adjustable wire cheese slicers allow you to choose what thickness you want your slice of cheese to be. 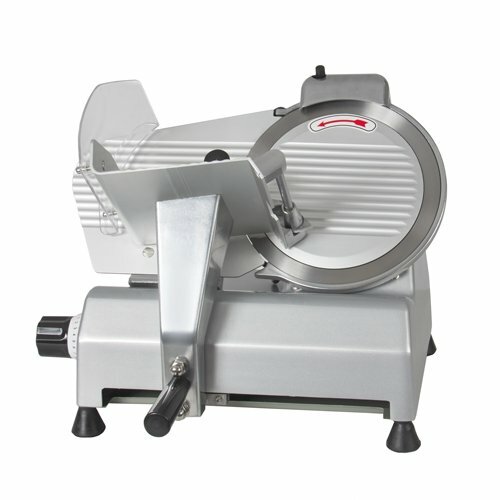 You will need to hand wash these types of slicers due to the screws on the side that make the thickness adjustable. 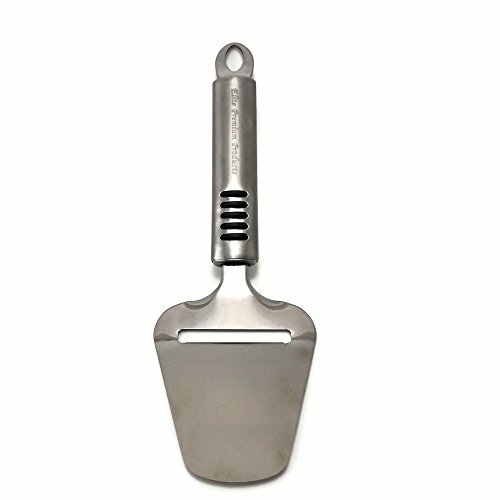 If you put it in the dishwasher the screws will rust – which you don’t want touching your food. 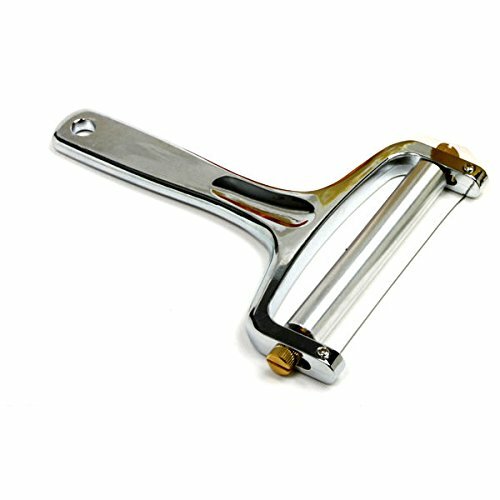 Most come with an extra wire for replacement. 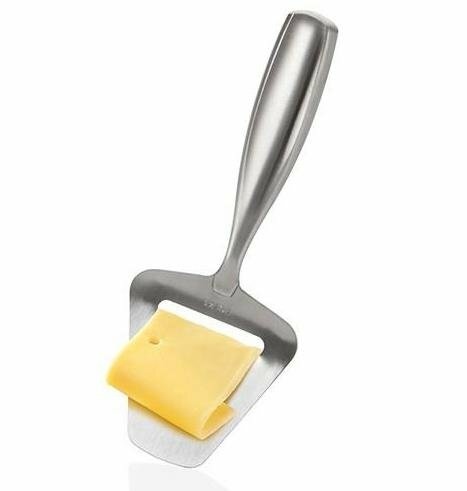 Thor Bjørklund is the man who invented the Norwegian cheese slicer. 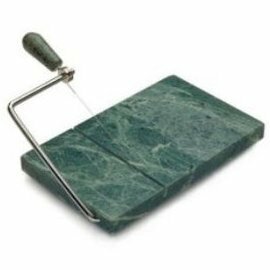 He was a carpenter by trade and wanted to create a tool similar to his carpenter plane that would work in the kitchen – and the result was his cheese slicer. 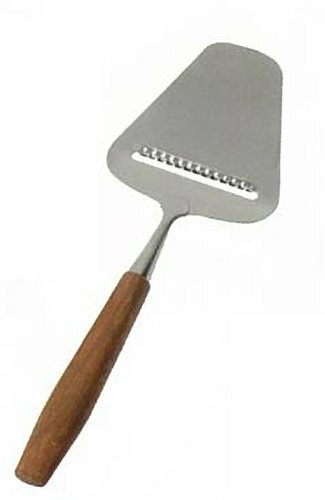 Which has become a household kitchen tool! 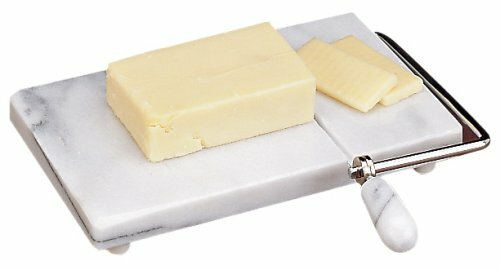 I found this great idea of cutting the cheese into little shapes on Pinterest which is a great way to dress up any party plate. 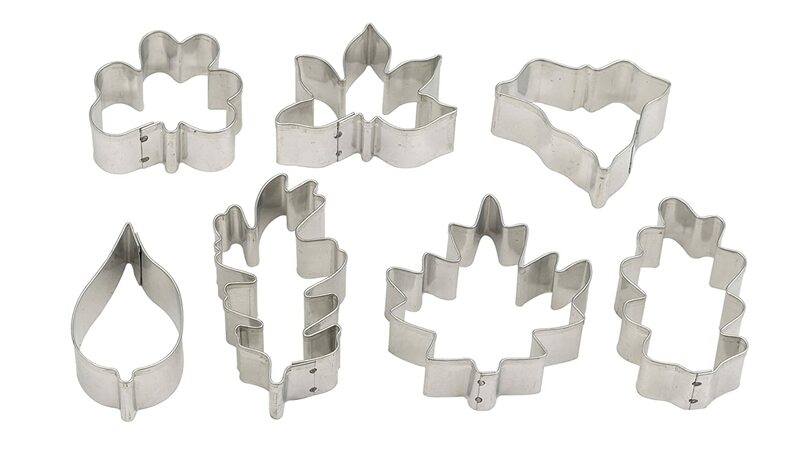 Here are some sharp cookie cutters to use on your cheese to give you this amazing look. 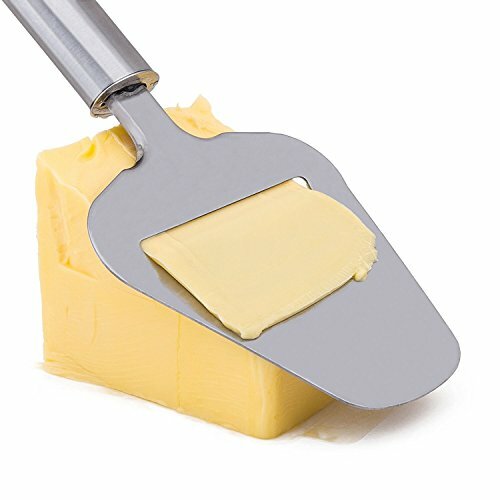 First you have to slice the cheese real thin and then use the cookie cutters. 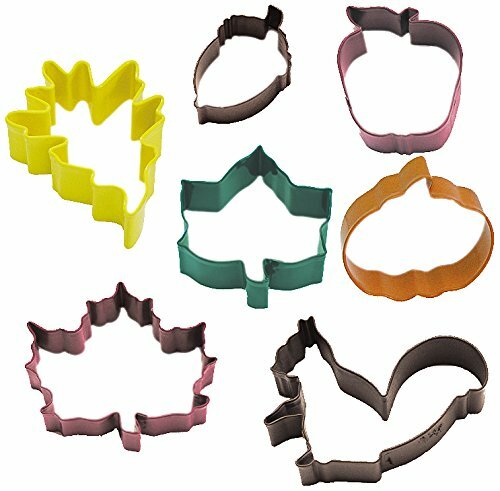 In addition to the leaf cookie cutters (shown below), you can be creative and use fun ones for birthday parties, weddings, Christmas, Halloween and so much more! 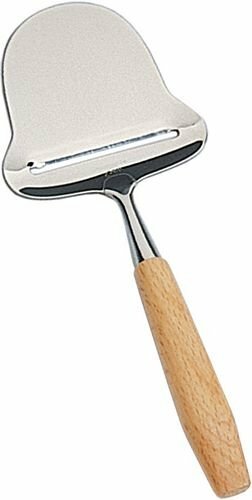 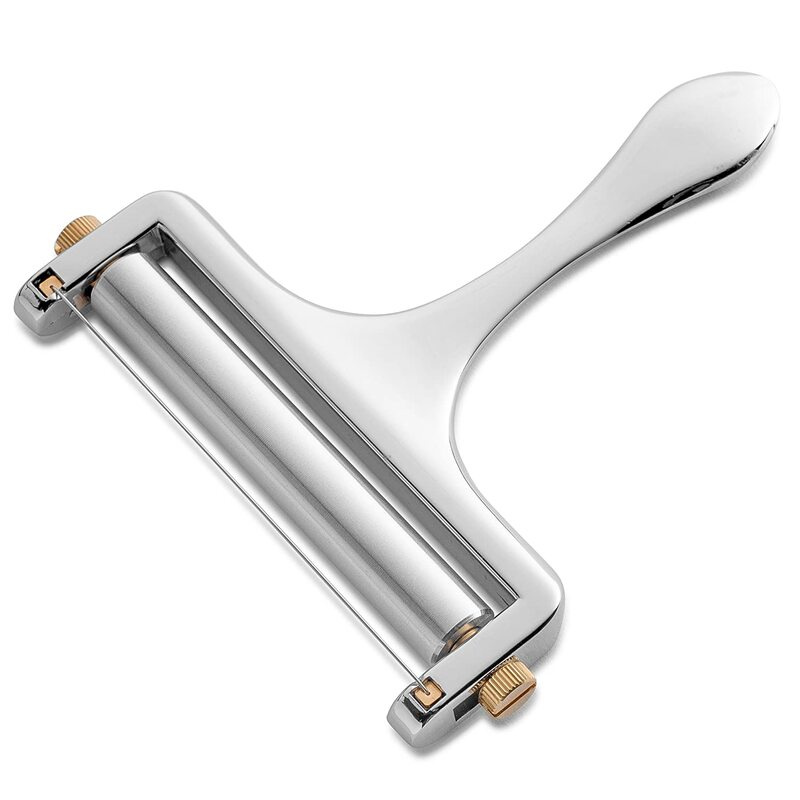 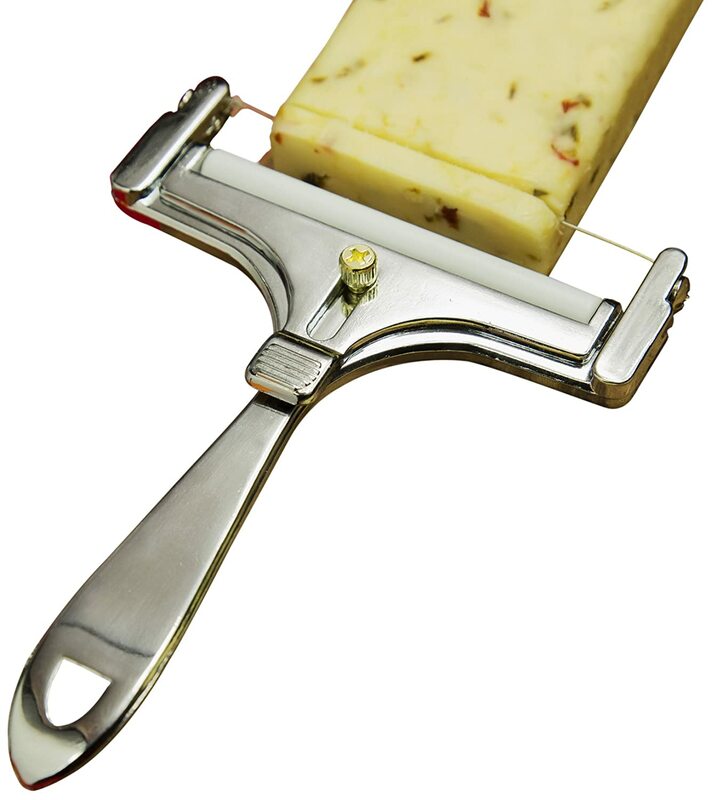 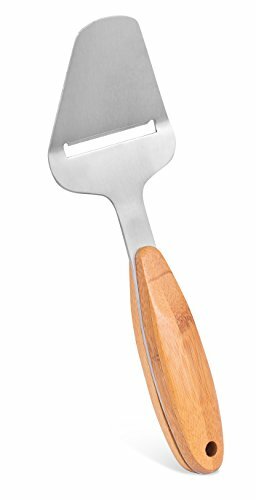 These industrial cheese slicers are designed for use in restaurants, delis, butcher shops and commercial kitchens. 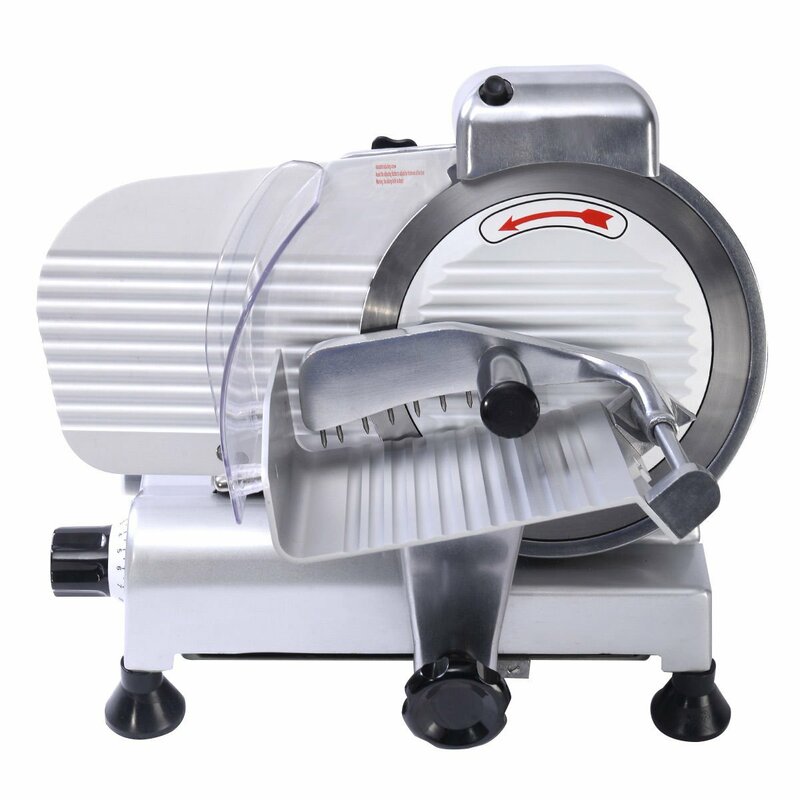 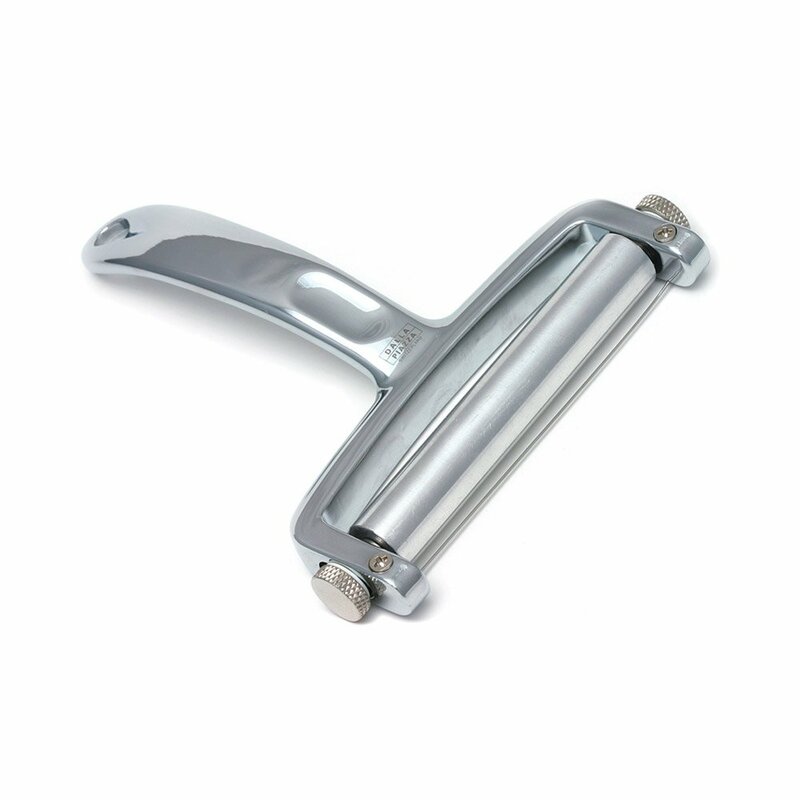 Key features are non-slip footing, heavy duty motor, stainless steel components and easy to adjust thickness knob.